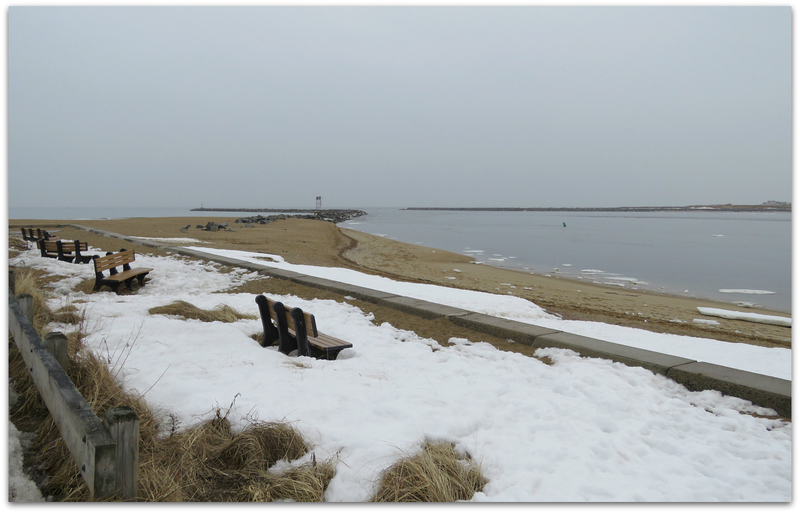 Bleak, cold, gray. At least it’s not snowing. 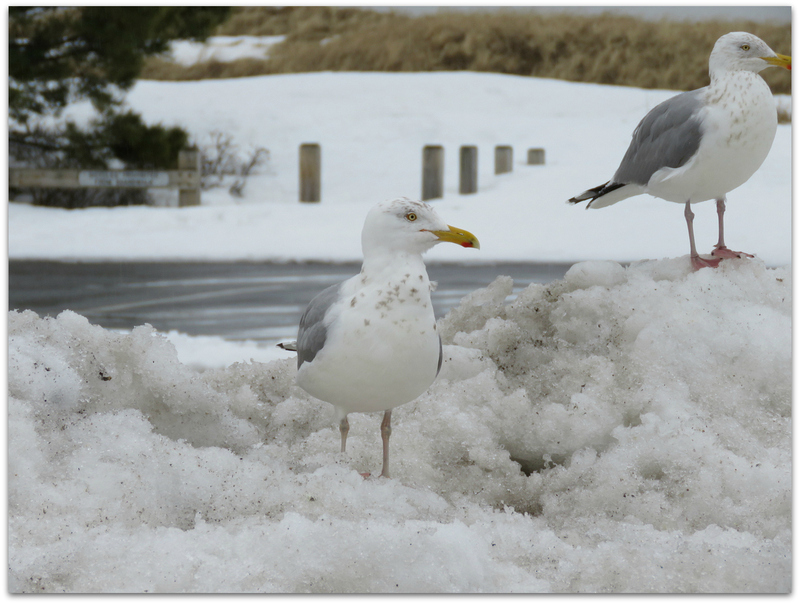 Gulls on snow plow pile in parking lot at Salisbury Beach State Reservation, Massachusetts. 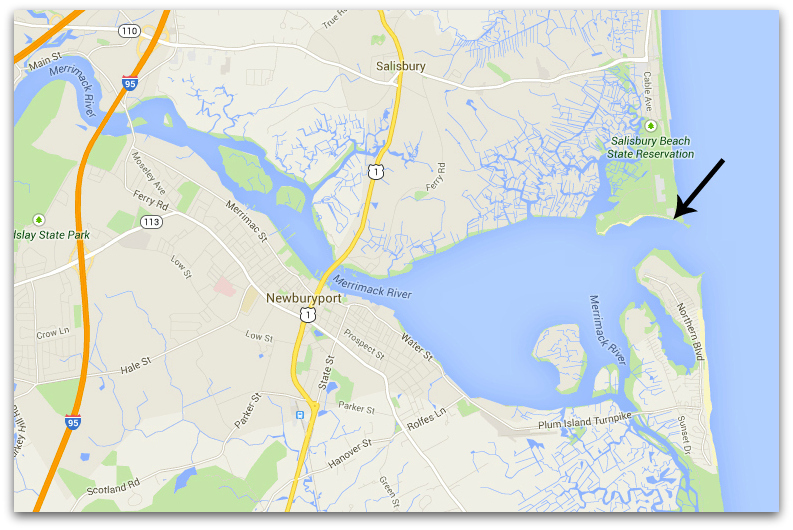 We took a coastal drive yesterday and didn’t see anything spectacular. But I refused to go far from the car because of the light, cold rain. Sometimes I’m in the mood to endure and defy the elements. Yesterday, not. “How long do seagulls live?” asks my husband. 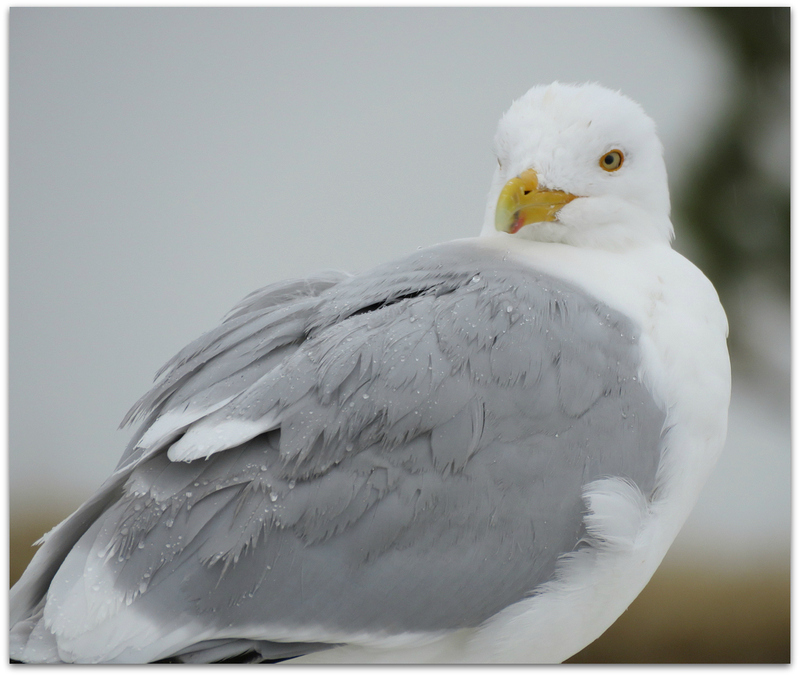 Large white-headed gulls are typically long-lived birds, with a maximum age of 49 years recorded for the herring gull. 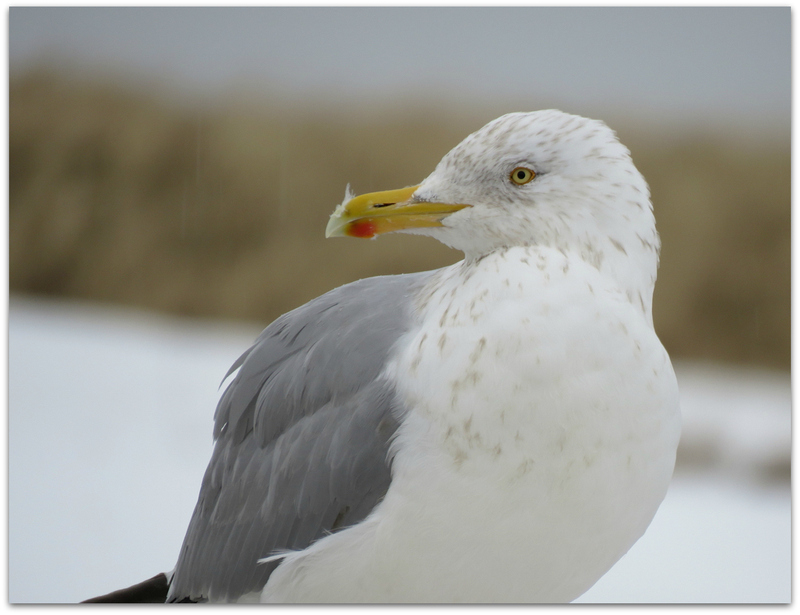 American Herring Gull: Young birds take four years to reach fully adult plumage. During this time they go through several plumage stages and can be very variable in appearance. 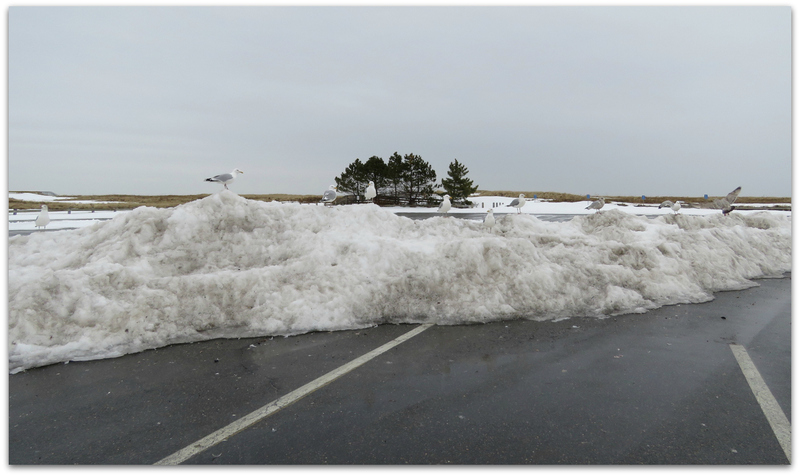 View of the Merrimack River mouth, from just outside the car, with chunks of ice floating to sea on the outgoing tide. 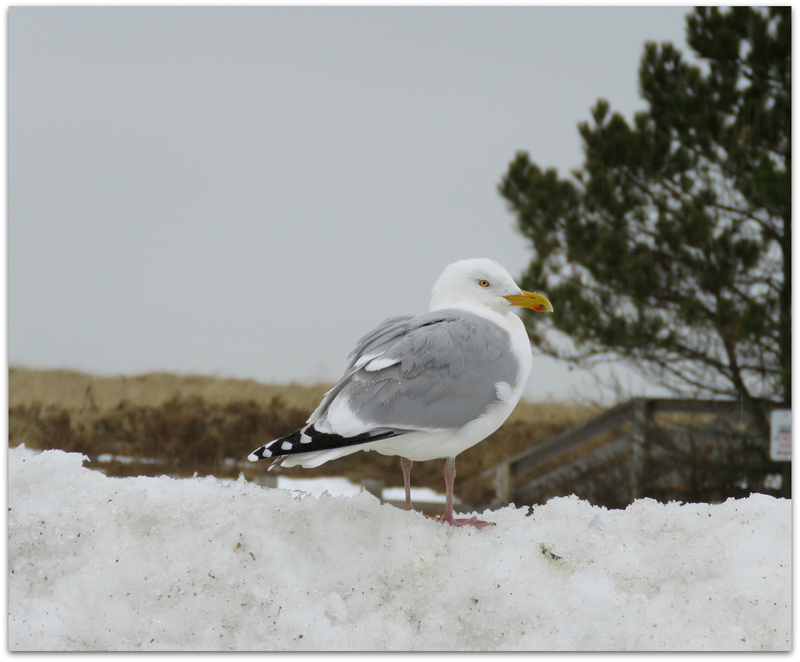 This entry was posted in Uncategorized and tagged Herring Gull on March 15, 2015 by Amy.